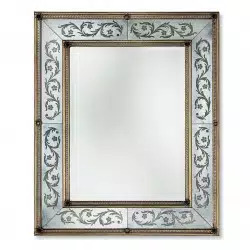 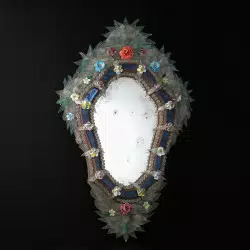 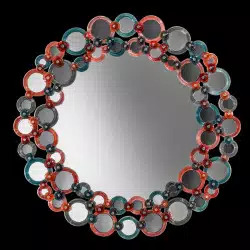 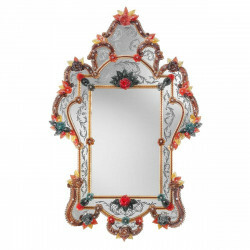 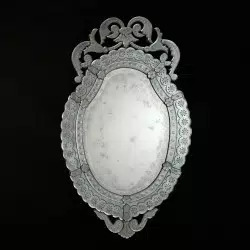 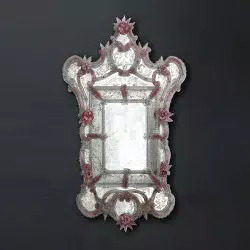 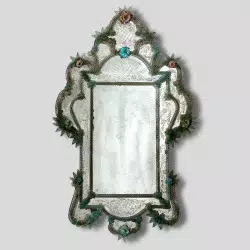 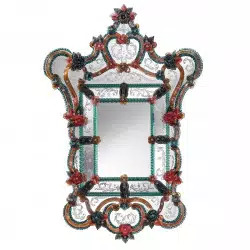 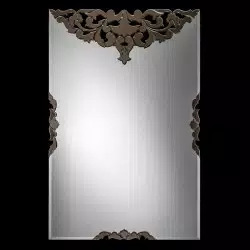 Real Venetian mirror designed to perfection with a colorful mix of green, purple and deep gold accents, and refined Muranese etching delicately surrounding the genuine Murano glass. 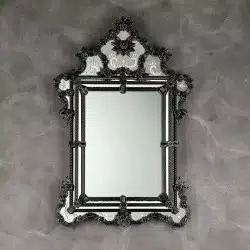 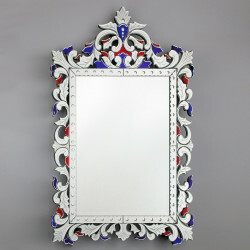 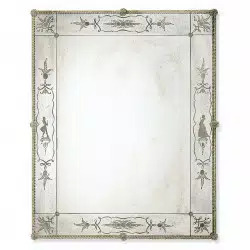 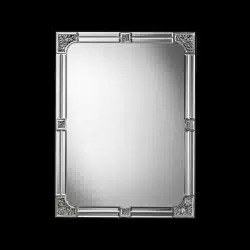 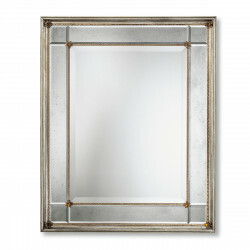 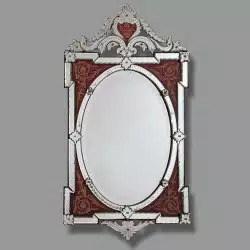 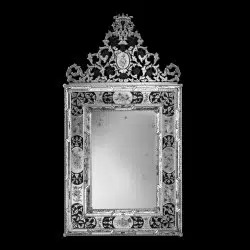 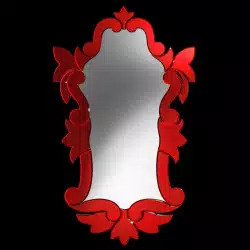 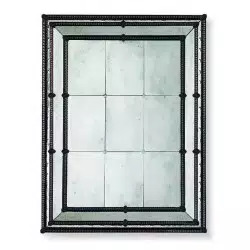 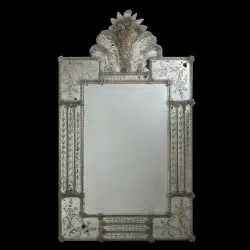 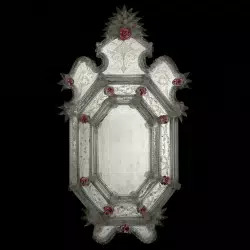 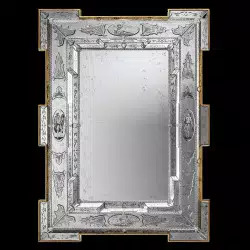 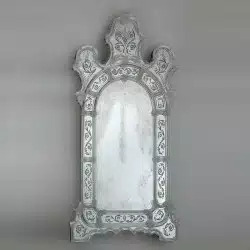 This incredible, true Venetian mirror is elegant and playful with a mix of color while capturing a more antiqued inspiration. 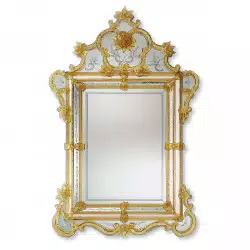 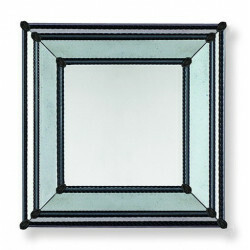 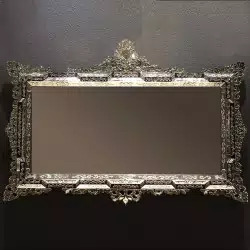 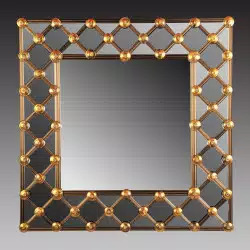 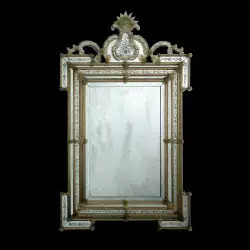 The frame has a deep gold, gold color emphasized using hints of green, purple and black glass details. 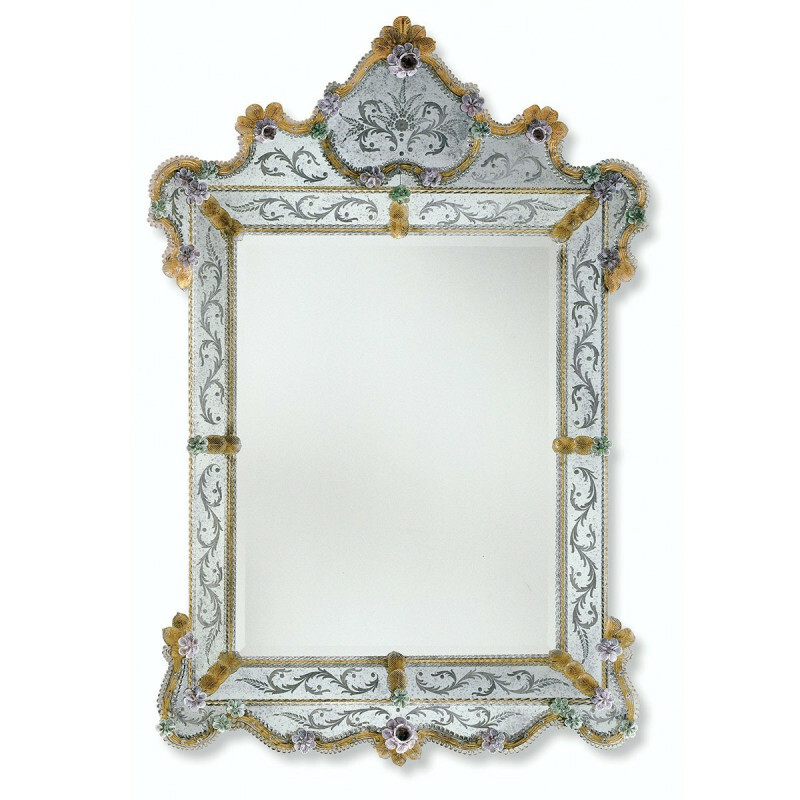 The authentic Murano glass is equally stunning with its clarity and shine, offering a magical appeal. 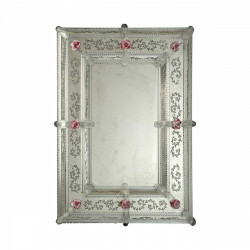 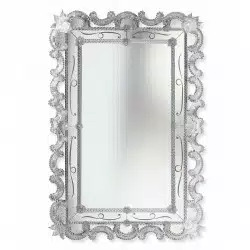 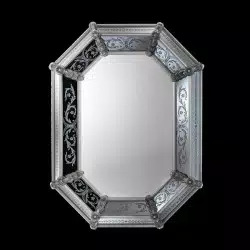 Textured with stunning hand engraved details to the sides, this is a perfect piece for your home.